That news was followed two days later by leaked documents showing top members of Kenney’s leadership team helped draft Callaway’s campaign strategy and provided campaign materials produced in-house. 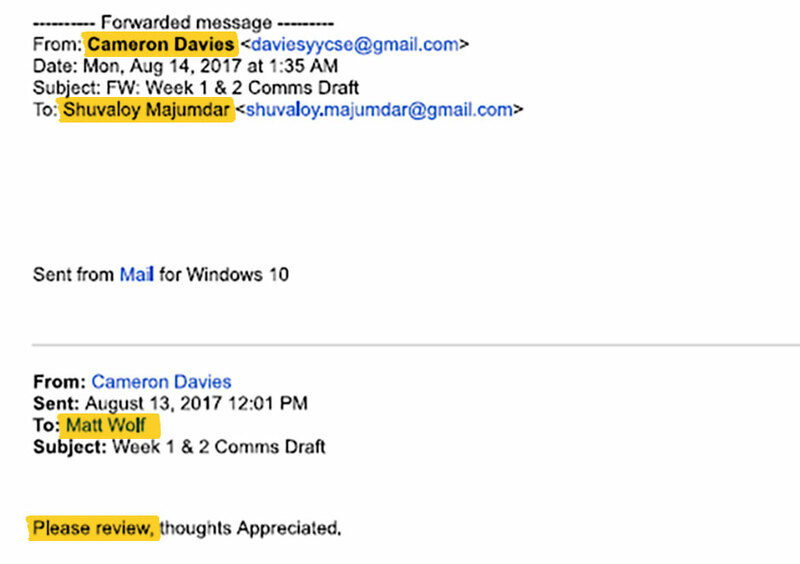 According to internal e-mails newly obtained by PressProgress, Harper & Associates global director Shuvaloy Majumdar was also CC’d on these confidential e-mails alongside senior members of Callaway and Kenney’s campaigns. 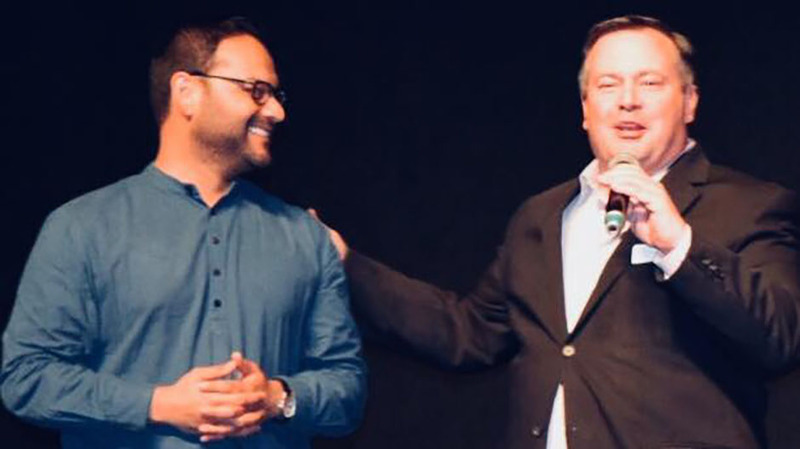 Although his name appears nowhere in news archives as holding a formal position on Kenney’s campaign, another trove of UCP e-mails obtained by PressProgress last week show Majumdar’s role was so senior he issued orders to Blaise Boehmer, Kenney’s communications director. 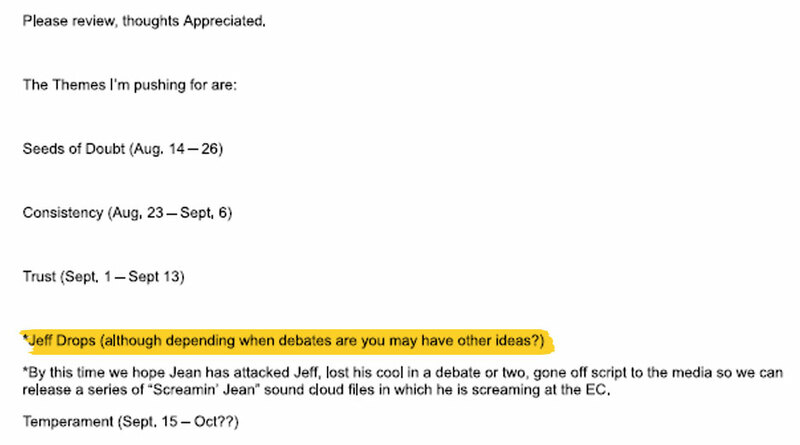 In one e-mail, Majumdar directed Boehmer to “cue up” one of the kamikaze donors to do media appearances attacking Kenney’s top rival, Brian Jean. On August 14, 2017, Davies forwarded the Harper & Associates executive a draft copy of Callaway’s communication strategy. One day earlier, Davies had sent the same document to Wolf, who now serves as Kenney’s deputy chief of staff. The original e-mail includes a note from Callaway’s campaign manager requesting the top Kenney staffer “please review” his campaign strategy. The e-mail goes on to provide weekly “themes” the Callaway campaign would push, specifically attacking Brian Jean. On week one, Callaway would plant “seeds of doubt” about Jean, before later raising questions about “consistency,” “trust” and “temperament,” the document says. Most notably, the e-mail shows Majumdar and Wolf were not only aware Callaway would drop-out of the race, the document suggests they could veto the timing. 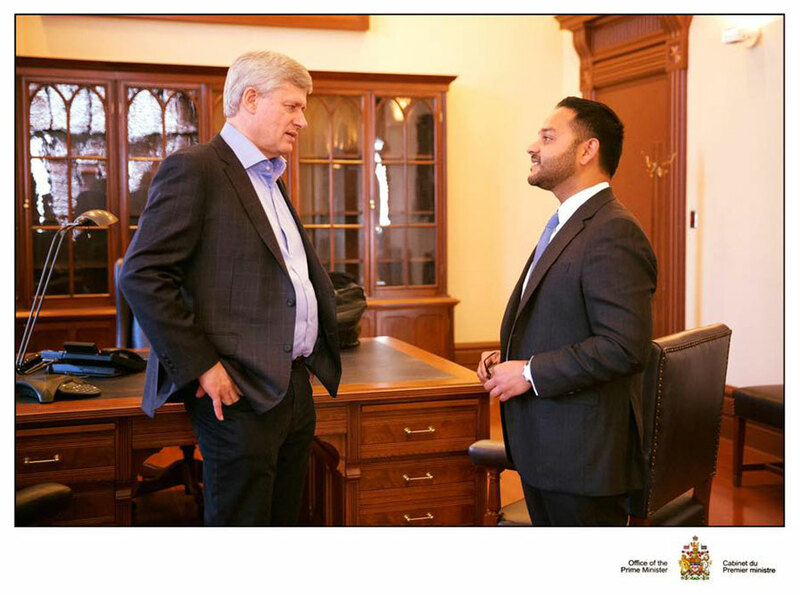 Neither Majumdar nor Harper & Associates responded to a list of questions from PressProgress inquiring about Majumdar’s role in Kenney’s campaign and what Stephen Harper knew about his executive’s involvement in the campaign. Last week, the former Prime Minister took the highly unusual step of issuing a statement responding to rumours Jean was considering re-entering provincial politics. 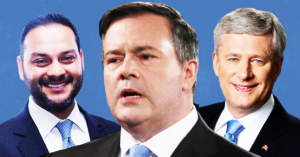 “Jason Kenney received an overwhelming mandate from Alberta’s conservatives to lead us into the next election,” Harper said in his statement. Harper’s statement, tweeted at 8:30 am Thursday morning, was released only three hours after the Calgary Sun’s Rick Bell published a story claiming Jean was planning to hold a press conference last week to announce his return to provincial politics. 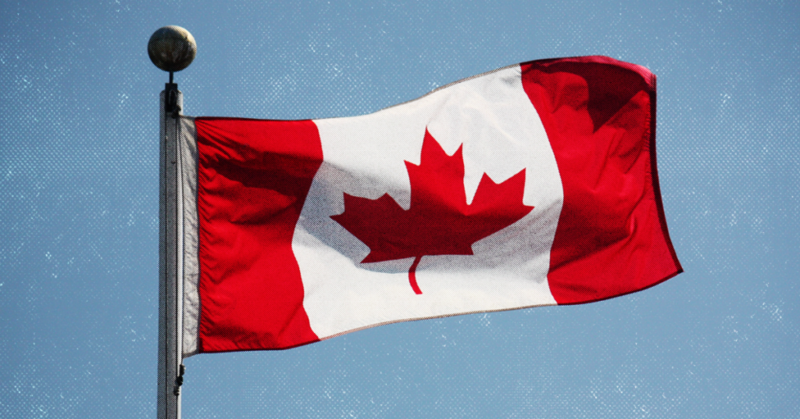 Canada’s social spending, one of the key guarantors of reducing inequality, is lagging among OECD countries, and that is slowing average health improvements. 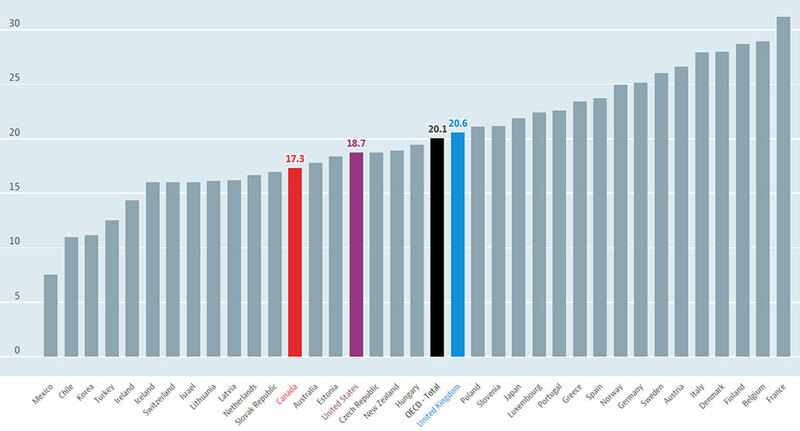 According to the most-recent OECD figures, Canada’s social spending was only 17.3% of the national GDP.